Contrary to popular belief, even post the recent patch you can in fact still visit Mexico without the use of an out of bounds glitch. Sort of. You can cross the river in certain spots but can't access the whole island, just the shore. You can do it in certain spots where there are rocks on the river. In any other spot your horse's stamina will drain so it is intentional. It makes sense since the river is so narrow in some spots that it would be insulting not to be able to cross it. 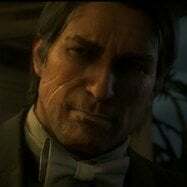 When you’re robbing the grave robbers for Bronte and bust the door in right before the gunfight, arthur and john can either be on the left or right side, it isn’t scripted for arthur to always be on the same side. Also the dialog in the debt recovery at catfish jacksons changes based on if you rob him beforehand or not. The entire mission changes if you kill him in the robbery too. This is probably old news by now, but I just found out that you can get iguana skins with Arthur by heading over to the island south of the camp in Ch 3. I originally thought you can only get iguanas down by New Austin. You cannot rob Wallace Station's general store. You can aim your gun but the option to rob won't appear. Even if you kill the clerk, you cannot open the register. We all know about out of bounds glitches but apparently it is possible in the Guarma chapter to go out of bounds from the island. It's really quite easy. I got out of the map by simply going west on the island and then going up. 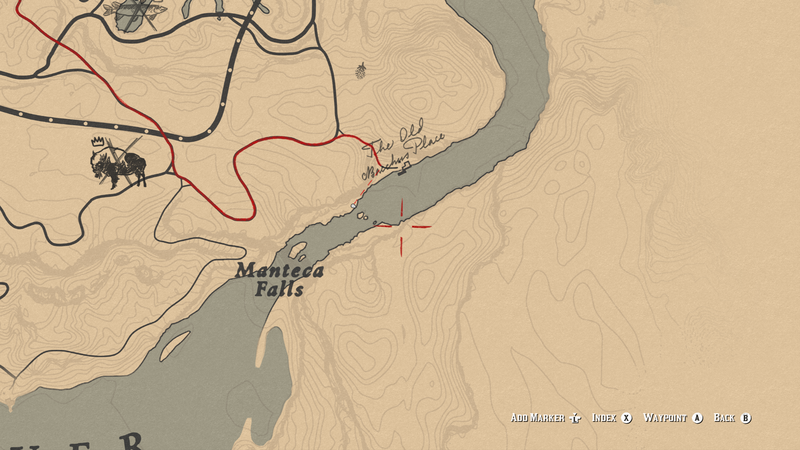 It seems (unconfirmed yet) that you could potentially go back to New Hanover\Lemoyne by going North out of bounds during the free roam parts in that chapter. Kinda odd if possible. I wonder if the game just puts you back in Guarma if you load an autosave. Just did that; there was a black bear a bit far ahead, I shot a warning shot once, he turned back and looked at me and started to growl at me so this time I take a shot near him and then he fled away. You went out of bounds in the Guarma chapter? Try to go back to Lemoyne. I think you need to go north. As soon as the old map loads in you can do a save and load it. It should probably set you back in Rhodes or something. Patting your horse will raise its bonding progress by one point, feeding it hay will raise it by one point, feeding it a sugar cube raises it by 5 points, brushing it raises it 5 points. Feeding it a Horse Meal surprisingly only raises it by one point. We can enter room in Valentine where someone is having constipation or whatever. However I was able to do that only once and there is really nothing inside, only some type of travel bag on the floor, other than that it's just a regular room based on what I was able to see. No one was inside. How? I've always wanted to get in. Donkeys are surprisingly hearty swimmers and will keep swimming for a unnaturally long time before it runs out of stamina. A mule however, will buck you immediately if you try to enter water with it. It's randomly open sometimes. There's also a wooden toilet with an open tray of sand under it. Where are Donkey's located? I swear i have never seen one in RDR2. That's cool they are in the game. "And on the forth day, He turned water into whiskey..."
This is probably obvious by now, but certain horse coats are exclusive to your fellow gang members. 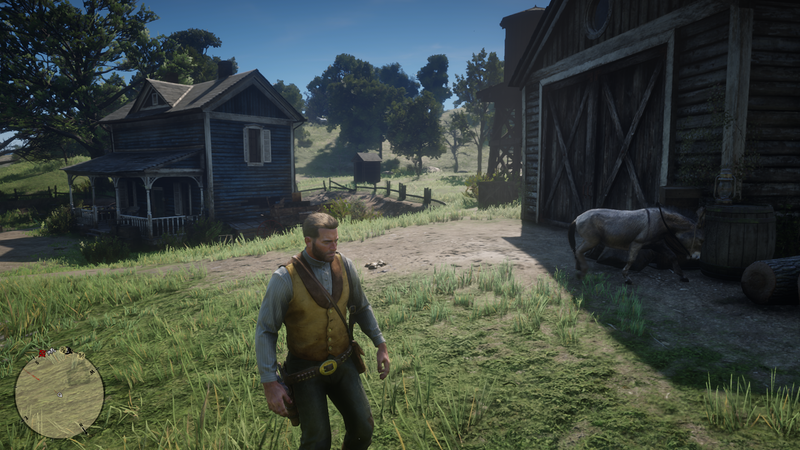 Two of the most interesting horses in the game, IMO, a Nokota Grey Roan Sabino and a Appaloosa with a mustache are exclusive to characters in the epilogue (pretty much any horse from a gang member) and there's no way that you can get them or store them in a stable. In 1899 the Trams are run by Cornwall RR, by 1907 its Pacific Union RR (the company from RDR1), who bought them out. 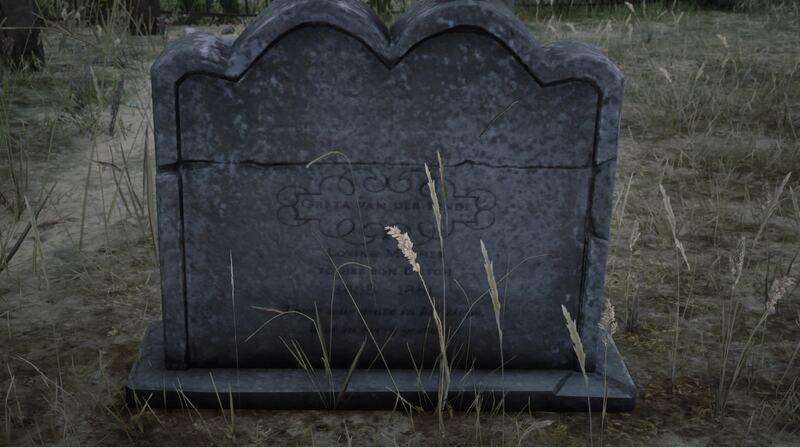 Replaying The New South, I forgot that Dutch mentioned his mom was buried in Blackwater. Sure enough, here she is. She only died 8 years before the start of the game. The electric lantern has disappeared from John's inventory for me. I found that exact spot and tried getting up and was sad I couldn’t. I want a Mexico dlc! Uncle tries to hug Sadie in the credits but she shakes his hand lmfao. Wife got me a PS4 with the RDR2. Als got me a large book-sort of a refference/semi-walkthru of everything in the game. Was trying to read thru some of it last night-have to wear my reading glasses and use a magnifying glass so it's a pain but I was shocked by the amount of stuff they shobed into the game-even areas I thought I'd found a lot of stuff? Nah....it is jam packed with things to find and goodies to take. In the mission "Further Questions or Female Suffrage" You can actually follow Sadie into the store and she orders the required items and asks to look at the available clothes. There is a giant photo of Arthur at Charles Chatneys art exhibition. Every 40 fish caught and then released will move your honor one place on the scale. At random, I decided to follow around an NPC to see if Rockstar was just full of hot air with their whole "NPCs have schedules" thing. I picked a scruffy looking worker at the Gray Woolen Mill in Rhodes. I got there at 12:18 and saw this fellow hard at work moving bales from the middle of the open area and neatly stacking them over in a kiosk. I chose him because his work was more animated and less boring to keep track of. So he continued to work nonstop until around 6:30pm when he walked to the side of the mill, had a smoke and shivered off the rainstorm that had come in, around 8pm or so he walked over to the houses on the north side of town, east of the Fence where some others workers had congregated near a campfire. He washed his face off in the bucket on the porch and then headed to the smaller house closest to the Fence, where he sat on a bench and whittled a peice of wood. After awhile another couple of fellows came and sat down and started chatting with him for the rest of the night. At around 6am the three of them stood up and headed back to the mill as a group arriving at 7:30. The guy immediately headed over to where he'd had a cigarette the night before and proceeded to stand there and smoke for 12 hours, not doing a lick of work, and then taking off with one of his coworkers from the mill who had been taking breaks near him all afternoon. The two men headed back to the houses on the north side of town, and split up at the fork in the road with my guy going back to his house and whittling, and the other guy headed over to the campfire area. I stopped following him after that. One of the main issue with their routine is the lack of beds or whatsoever to make the NPC's sleep, only a few actually go to bed.